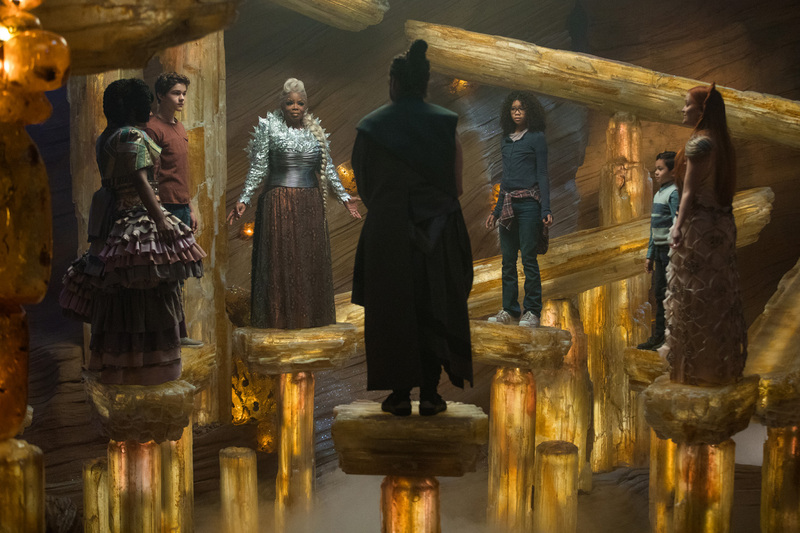 Walt Disney Pictures' latest movie offering "A Wrinkle In Time" tried to unlock the mystery behind the thin strand of scientific findings and the fantasy that comes with it. The movie was supposed to explain or perhaps present a connection of a scientific finding of time travel or travel between multiverses of some sort, as the title suggests, however, we have learned during the course of watching the film that "A Wrinkle In Time" is nothing but a fantasy movie all dressed up with all the science stuff among other things. The supposed "science-fantasy adventure" theme of the movie and the plot itself were not really a disappointment but a struggle to catch everyone's attention. It felt like a two-hour instructional manual for the moviegoers on what's happening in the entirety of the film. The visuals should rely on the script and no explanation needed, but what happened was the otherwise. Perhaps the saving grace of the movie is Reese Witherspoon's acting and the overly use of computer-generated special effects. There are some questions left or plot holes in the whole storyline as well. There are something missing in the film and you'll feel it as you watch it. It seems like the movie "A Wrinkle In Time" was made as a direct interpretation on what's really happening in the novel by Madeleine L'Engle where the movie was adapted. About "A Wrinkle In Time"
"A Wrinkle In Time" follows the story of thirteen-year-old girl named, Meg Murry as she struggles to adjust to school and home life ever since her father Alex, a well-renowned scientist, mysteriously disappeared while he was studying astrophysics. Both Meg and her mother Kate believe her father has solved the question of humanity's existence and theorize he was teleported to another world. With the help of three astral travelers, Meg finds herself in a quest to search for her missing father in another planet of another universe. Overall, somehow we felt that the movie was intended for children ages 4 to 12 years old and not really intended to catch the attention of adult moviegoers. However, the CGI's are great and we find it enjoyable to watch! We give "A Wrinkle In Time" a 7 out of 10 movie experience. Below is the movie trailer of "A Wrinkle In Time".